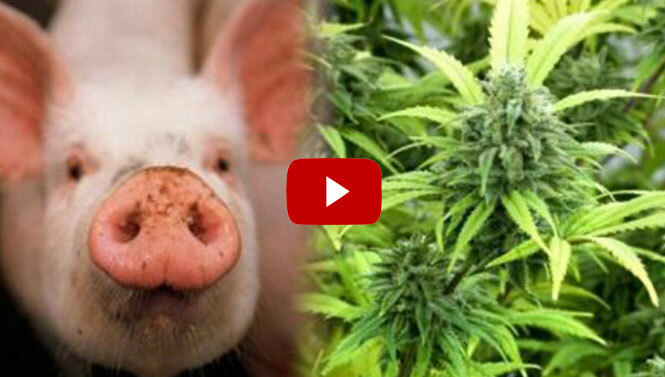 There’s a new craze in Seattle Washington, Marijuana Flavored Pig Meat. A local butcher has started selling marijuana feed pig meat to his customers. Consumers report that the flavor of the marijuana flavored pig meat is ‘savory’. Pot is becoming more and more popular in the food industry, so stoners get ready to experience a new side of marijuana. Hope you enjoy the this stoner video. Stay Blazed! This entry was posted in How To's, Stoner Videos and tagged marijuana, pig, stoner, Stoner Munchies, stoner videos.